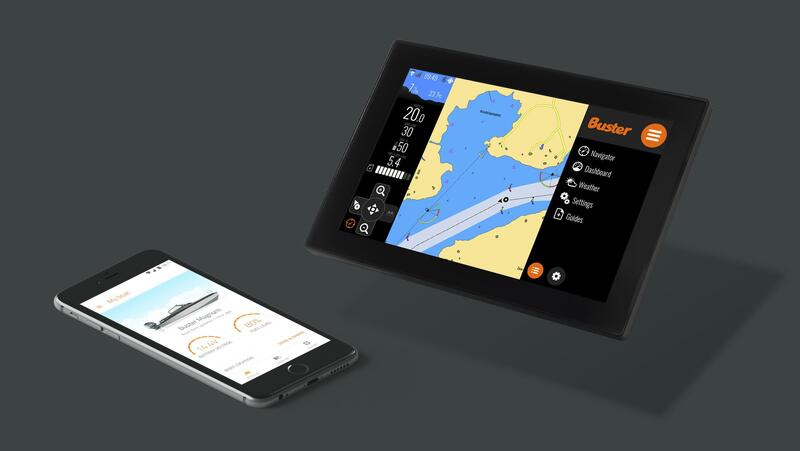 In 2016 Nextfour launched a cutting-edge marine navigation system in cooperation with the Finnish powerboats manufacturer Buster Boats. Their idea was to combine all boat’s assets into one easily operable interface, thus creating a system that would be the next step towards the future of boating. So how is the world’s smartest navigation system doing today? Earlier this year the system entered the mobile world, as Buster Boats launched the first ever mobile application based on the Q system. Buster is currently the only boat manufacturer that has launched an app, but as the support for mobile has now been built, we might see other boat manufacturers follow soon. A useful application for remotely monitoring boat’s status would be e.g. checking that boat’s battery is ok before leaving home. You might also want to check boat’s location if you have borrowed it to a friend and want to make sure they returned it in the right place. Application’s automated logbook can be used to synchronize all trips to a server. They can be used as a backup in case anything happens to the actual Q Panel. Trips and routes can be shared with others through the app. App also contains the same boating guides and manuals that can already be found on the Q Panel. The fourth main functionality is managing the Q system’s data plan. After its launch earlier this summer, the app has been downloaded hundreds of times and it has received flattering reviews by recreational users and professionals. Buster Q app is available for free in Play Store for Android and App Store for iPhone. Another new addition to Q system is a new model, that makes multi-screen installations easier and more cost-efficient. 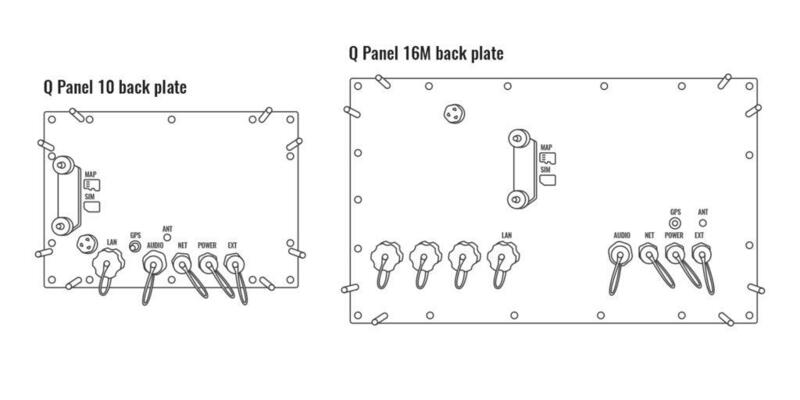 The new Q Panel 16 M is similar to the already existing Q Panel 16 in size, but it has up to four built-in LAN ports. This allows connecting multiple Q Panels via simple Ethernet cable. This will, in turn, cut down the installation time and eliminate the need for an additional switch that takes up valuable space. “We work in close cooperation with boat manufacturers to provide them with the exact solutions they need, and Q Panel 16M is a good example of how this works. In talks with certain manufacturers we discovered that they want to install multiple touch screens on their new boat models. This was already possible with an extension box and the existing Q Panels, but we wanted to do even better than that.” explains Q Experience’s headman Niklas Öhman.